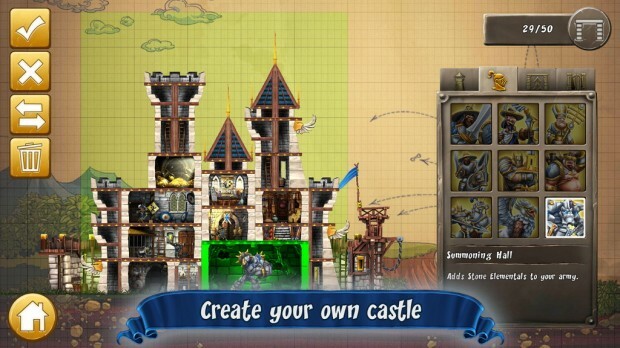 Zen Studio’s CastleStorm – Free to Siege received plenty of positive reviews when it launched on PCs and consoles last year and its success has probably prompted the makers to come up with a free to play Android version of the game, which is now available on the Play Store. 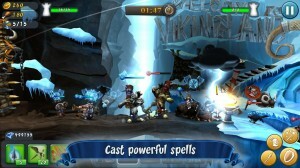 The developers describe the game as a “ super genre mashup of 2D physics destruction mashed with tower defense brawler!” In the game you play a mighty knight Sir Gareth who as Protector of the Realm happily takes up the duty of protecting the castle and the blue gem it holds from vicious enemies who are hell bent on storming it. 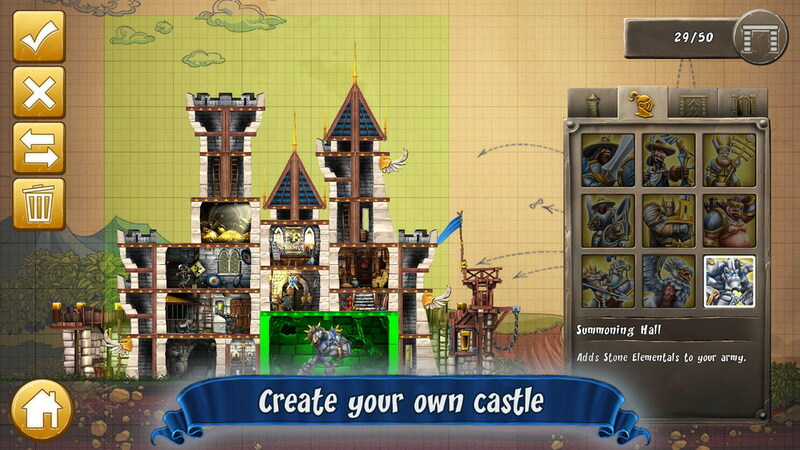 The game features maps with castles on either side of the screen that are armed with ballistas. You have a variety of weapons and projectiles to employ in your destructive activities such as arrows, stones, javelins, exploding sheep, as well as special spells such as ones that unleash meteor showers. 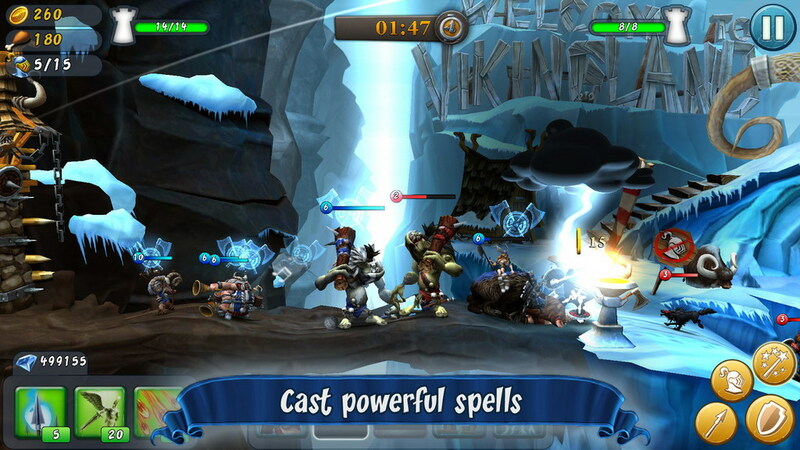 You also have the ability to directly control your game hero, should you choose to. All your ammo have a cooling off period giving you a chance to employ different types of projectiles in the game. All the levels are mission based but basically you will be knocking down the invading troops, stealing the enemy flag and bringing down the castle itself. There are several ways in which you can accomplish your missions in the game and that makes Castlestorm truly refreshing to play every time. 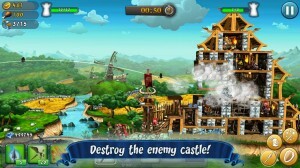 Mind you, this is a pretty vast game with options to participate in over 150 battles spread across four campaigns, take on different types of enemies from four nations, build your own customized castles to use in battles, upgrade your weapons, spells, and characters just to name a few. 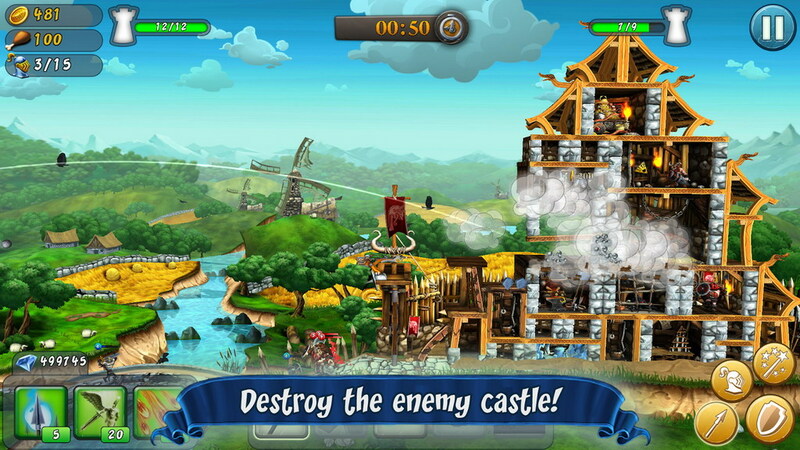 CastleStorm – Free to Siege does offer the IAP route to making play a little more easier for you, but that’s an option you can always desist from using. The game’s graphics are eye-popping, the storyline is rather lame, but it does have engaging voiceovers to make up for some of that lameness, plus an impressive soundtrack by Waterflame to add to its credit. Despite the game looking a bit too crunched up on my Galaxy S3, I’d say it’s a game that is definitely worth checking out.